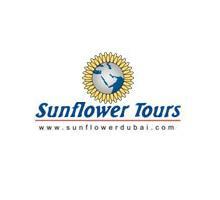 Sunflower Tours started its operation in Dubai, United Arab Emirates as an incoming tour operator when it was formed back in 1999. This was the time when a team comprises of young and hard working people professionally started taking care of visas, hotel accommodation, safaris and tours in this state of UAE through which they promoted Tourism in this metropolis. With the passage of time their hard work started paying them off, as their base of clients showed an immense growth after getting inspired from their excellent services and best competitive rates. Today Sunflower Tours are handling incoming business from various countries of the world including several European states such as Norway, Finland, Denmark, Netherland, Sweden, Hungary, Korea, Turkey and Iceland. Sunflower Tours work towards obtaining best prices when it comes to worldwide hotel reservation, tours & safaris, mice, leisure groups and ground handling. So their clients would get the best rates. In addition to this, through their amazing B2B online system, clients can access different tour packages at any hour of the day on all 365 days of the year. Plus they will get the confirmation immediately, if client selects a package through B2B. Vouchers of confirmation can also be printed directly from the system. Their tour package involves special interest activities, sightseeing tours and safaris, aside from reserving hotel rooms in any hotel of Dubai. Moreover, Sunflower Tours can accommodate 10 to 200 passengers as well as different sizes of leisure groups. Their office remains open between 9:00 and 18:00 hours from Saturday to Thursday during a week. Zommoroda Bldg. 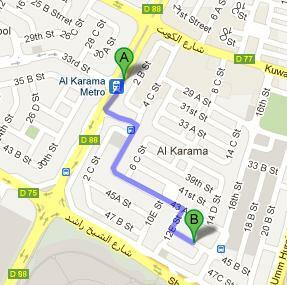 Al Karama, Dubai, United Arab Emirates. Head southwest on شارع الشيخ خليفة بن زايد‎/D 88 towards 37 A Street, then turn left onto 37 A Street and afterwards make a right turn onto 4 C Street. Then continue onto 43 A Street until commuter reaches a turn that goes on the right side towards 12E Street. After making that right turn, commuter should turn left onto 45 B Street in order to finally get to the destination that is situated on the right side.